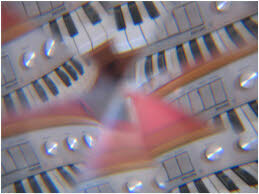 ray wilson’s fantastic outrageous wonderful and impressive site about synth diy. you have to go there if you are interested in this topic. his circuits are very good and perfect for beginners because he explains it all in every detail. i have built quite a lot of them. if you ask me, his sequencer and the 24db vcf are masterpieces which have to be in every diy modular. ken stone’s site. his circuits are on the more tricky side and he has a few modules you won’t see anywhere else. the circuits are well designed and their descriptions are good. you have to try his psycho lfo, a very simple designed random lfo with wonderful results. this guy explains nearly nothing, but i think his circuits belong to the best you can find on the web. i LOVE his vco design, the best sounding and the most stable design of a vco i ever tried. and hey, don’t forget to build his ms-20 filter! interesting circuits, but unfortunately they are with mistakes. so beware, perhaps you have to dive very deep into them. though i think the filter sounds very good. on the „diy hardware“ section of this forum you will find threads about ray wilson’s and ken stone’s designes. it’s good to be there from time to time, interesting and friendly people who discuss exactly that problem which you weren’t able to solve in an overnight diy session.